You are here: Home / We Need Your Help To Get DailyFitnessTips4u.com Unblocked On PINTEREST! We Need Your Help To Get DailyFitnessTips4u.com Unblocked On PINTEREST! We all love Pinterest. We get most of our inspiration from there – whether it is a health tip, recipe or a beauty tips. It is all there. It allows us to create our own boards with the pieces of content that we want, pinned on these boards. At Dailyfitnesstips4u.com, we know for a fact that we produce and publish HIGH QUALITY, AUTHORITATIVE & USEFUL CONTENT only. And like most of our followers on and off Pinterest, you might agree with this. Our content is pinned into individual and group boards every day and these are in turn repinned millions of times. But it is impossible to satisfy everyone and there are always some who might not like our content. A few of these ‘unhappy souls’ reported some pins from our website as spam (which is definitely confounding knowing that we are in the business for the last 5 years!). And our site was blocked a year ago by the Pinterest team because of this. 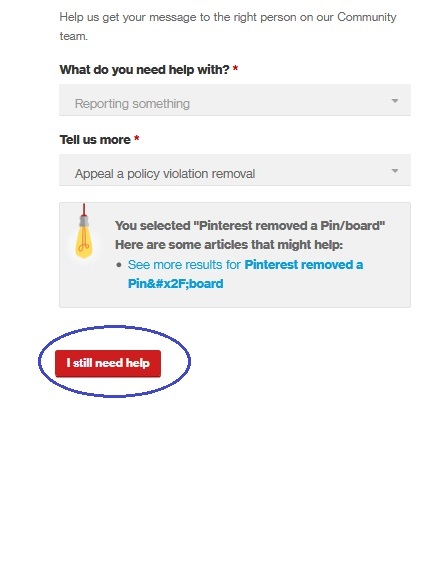 Now no content or tips on Dailyfitnesstips4u.com is allowed to be pinned onto Pinterest. So for all those who have collected pins from Dailyfitnesstips4u.com and for all those who want to collect pins from Dailyfitnesstips4u.com, this is a bad experience. Millions are being punished because of the disappointment of a few. 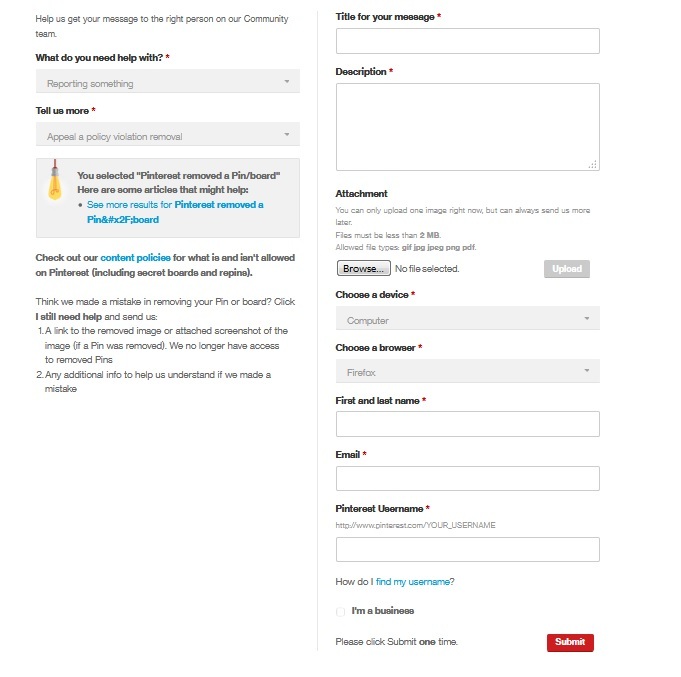 Under ‘Tell Us More’, select ‘Appeal a policy violation removal’.